Packaging is an important part which enhances the shelf life of products and automation is a latest trend which plays a vital role in packaging machinery market. Growing demand of attractive and innovative packaging for industrial and consumer goods is fuelling the growth of global packaging market eventually will increase the demand of pouch packaging market in the near future. Rising investment in packaging technology and increasing awareness about the benefits of automation is expected to enhance the pouch packaging machinery market across the globe. Continuous innovation in packaging machinery is creating new business opportunities for pouch packaging machinery manufacturers. For instance, in 2016, Bosch Packaging Technology introduced world’s first sealed paper packaging machinery which helps in the packaging of dry products such as sugar, cereals and other products in dust-proof sustainable mono-material paper. Moreover, key vendors of pouch packaging machinery are spending on advance technology for their machines to increase the speed and production of pouch packaging. For instance, Massman Automation Design,LLC lauched HFFS high speed flexible pouch packaging machine and Flexible Stand-Up pouch packaging machine which can help in packaging 100 pouches per minute. In 2017, PFM Packaging Machinery introduced high-speed stand-up pouch machine which can produce 480 pouches per minute. Such innovations are positively impacting the expansion of pouch packaging machinery business. The global packaging machinery market valued USD 41.0 billion in 2016 and is expected to witness robust growth during the forecast period. Increasing demand for pouch packaging in food & beverages, cosmetics, pharmaceuticals and other industries is propelling the growth of pouch packaging machinery market. The global pouch packaging machinery market accounted for USD 16.4 billion in 2016 and is projected to reach USD 24.6 billion in 2024, growing at a CAGR of 5.2% over the forecast period. Based on end-user segment, food & beverage industry is the dominating segment for the pouch packaging machinery market in 2016 accounting for USD 10.49 billion in 2016. North America and Europe together accounted for 65% revenue share of global pouch packaging machinery market in 2016. Increasing demand of processed and packaged foods in North America and Europe regions are contributing in the expansion of pouch packaging machinery market in the region. However, rising number of manufacturer for food & beverage and personal care product in Asia-Pacific region is likely to increase the demand for pouch packaging machinery in the region. Asia-Pacific pouch packaging machinery market is expected to grow at a CAGR of 8% during the forecast period. Latin America and Middle East & Africa pouch packaging machinery market expected to reach USD 2.5 billion by the end of 2024, owing to the expansion of packaging industry in countries such as Brazil, Mexico and South Africa. Development of energy efficient packaging machinery and increasing implementation of automation in packaging industry is boosting the demand of pouch packaging machinery market. 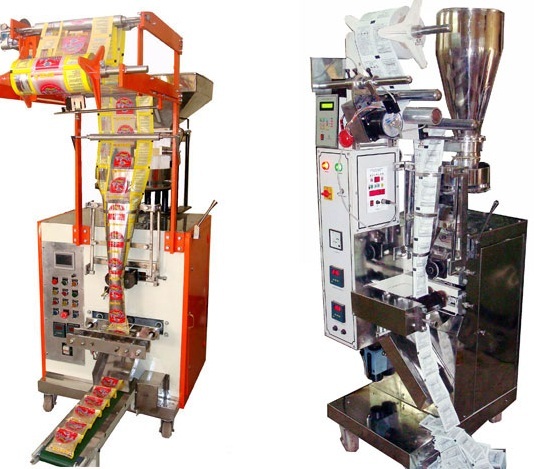 Cost-effective packaging with accuracy and quality improvement can be achieved by pouch packaging machinery. These factors are likely to drive the global pouch packaging machinery market in the near future. However, low speed of pouch packaging machinery is the major factor which is obstructing the growth of pouch packaging machinery market. Low speed of packaging also affects the production and which also impacts the demand of end-user. To overcome this restrains companies are investing in improving the speed of packaging machinery which is expected to contribute in the growth of pouch packaging machinery market in the near future.